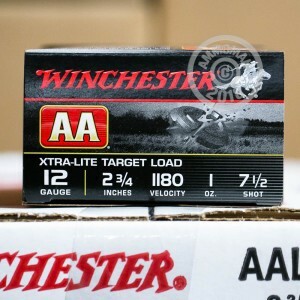 Winchester Xtra-Lite shells are great if you are looking less recoil. These 2-3/4" shells carry a 1 oz. payload of #7-1/2 lead shot making them easy on the shoulder. 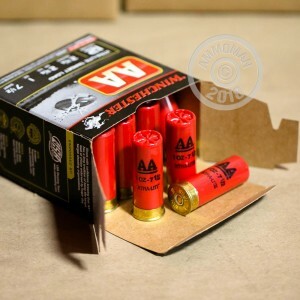 Winchester uses proven hard shot, AA wads and best in class powders and primers in their AA line of ammunition. There shells are a great choice for upland birds as well as sporting clays and trap shooting. 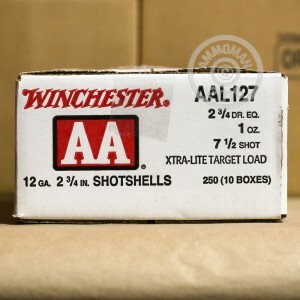 Winchester distributes high quality and reliable ammo around the world. Their shells are American made in their Alton, Illinois facility. Winchester continues to create innovative ammunition to meet their customers shooting demands. Did you know that if you place any over $99, you will receive free shipping? So stock up and save more at AmmoMan.com!